* ... BURGLARIES: Good news for folks who live in the Bakersfield Country Club area. Sheriff's investigators last week arrested 18 people on a variety of misdemeanor and felony warrants, most of them related to a rash of home burglaries where the doors are smashed in during broad daylight. * ... TRASH: It's good to see some momentum regarding local litter clean ups, but some readers, like Charlie Manzer, are wondering why other communities don't seem to have much of a problem. "We go to the Ventura area a lot ... and we notice almost every visit we see Caltrans crews doing trash pick-up. Just wondering if this tourist beach community has a preference to us here in Bako? 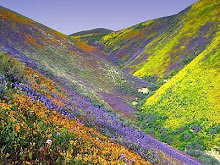 The 101 freeway and its on and off ramps are always free of litter." * ... MISS FRESNO. 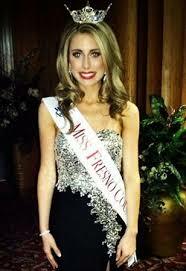 Congratulations to Elizabeth Farr, a 22-year-old senior at Fresno State University who was crowned Miss Fresno County for 2013. Elizabeth is a local graduate of Garces Memorial High School. She is majoring in business finance (entrepreneuship) and will graduate in June. She will represent Fresno in the Miss California Pageant on June 25-29 at the Saroyan Theater. Her parents are local family practice Dr. William and Chrissy Farr. Thanks to her proud grandmother, Donna Sill, for submitting this. * ... FIRST LOOK: If you haven't checked out First Look with Scott Cox, the radio and hi-def video simulcast on bakersfield.com, you are missing something special. 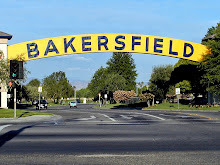 The show runs from 7 a.m. to 10 a.m. on NewsTalk 1180 KERN with a live video stream from The Californian newsroom at bakersfield.com. Last week's guests included Rep. Kevin McCarthy, Sheriff Donny Youngblood, Monsignor Michael Braun, former Mayor Mary Kay Shell, Houchin Blood Bank's Greg Gallion, Jim Shaw of the Buckeroos and singer Monty Byrom. 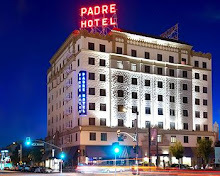 On Monday, opinion editor Bob Price will be talking to 5th District Supervisor Leticia Perez, and on Tuesday I will be chatting with Monsignor Craig Harrison. * ... SOCCER: The U.S. Soccer Development Academy has announced the inclusion of 22 new clubs to the under 13-14 age division, including one in Bakersfield. The local club, called the Central California Aztecs, will join the existing clubs next fall. 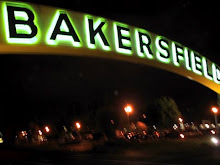 * ... BAKERSFIELDISM: You may be a Bakersfield old timer if you remember when "you could see the Milky Way every night, and watching the red lights of the cars on the Grapevine was entertaining."